Third-Party Workplace Accidents Claims San Francisco, CA | Bracamontes & Vlasak, P.C. An employee whose employer carries workers’ compensation insurance can seek workers’ compensation benefits in the event of an on-the-job injury. When the injury was the result of negligence by a third party (such as a contractor or equipment supplier), the injured person can seek additional compensation via a third-party claim. Workers who are not covered by the workers’ compensation system may also sue for damages caused by negligence in a workplace. While some of the basic facts about a workplace accident apply to both a workers’ compensation claim and a third-party claim, the legal and medical issues can be quite different. In fact, if your third-party claim is mishandled or a mistake is made during the legal process, you could end up with less compensation than you deserve. At Bracamontes & Vlasak, P.C., we are strong advocates for people who have suffered injuries as the result of negligence in workplaces throughout the San Francisco area. 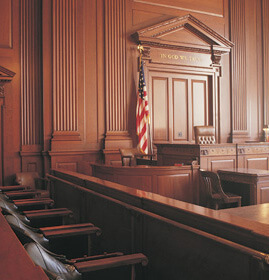 Our attorneys seek full compensation for every client. To learn how we can help you, call us at 415.835.6777 for a free consultation. Workers’ compensation is an important source of assistance for injured workers, helping them pay for needed medical care and obtain disability benefits. But workers’ compensation benefits may not cover all of an injured person’s medical needs, nor does it provide adequate compensation for income loss, pain and suffering, and other economic and noneconomic losses. Bracamontes & Vlasak, P.C., will calculate the full amount of your losses and seek maximum compensation for you. Contact Bracamontes & Vlasak, P.C., in San Francisco, California, for a free consultation about a workplace injury case. You can also call us at 415.835.6777.